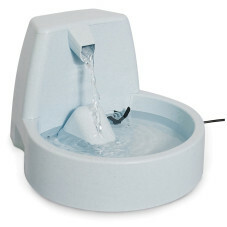 Whatever fountain you choose, your pet will love having access to filtered, free- falling water. You will soon discover she will be happier and drinking more with her increased hydration level. Beyond the health benefits your pet will see, you’ll also begin to notice extra time in your schedule to spend more time with your pet because you won’t be filling up the water bowl as much. However, it is important you still take some time to maintain a clean fountain. With a few simple steps each month, you’ll be able to make good use of it for years to come! Every day, I check Emma’s fountain while I am making my breakfast and add a cup or so of water if it is looking low. Then, on a weekly basis, I take a closer look to be sure everything is running properly and the reservoir is full. There is a little bit more care involved on a monthly basis. On the first week of each month, I take the fountain apart and put the dishwasher safe portions in the top rack of my dishwasher to give it a good deep clean. After the dishwasher finishes, I dry it off and change the filter to be sure Emma is still getting water that is filtered free of bad tastes, sentiments and odors. Once it is put back together, I fill up the water again and put it back in place for her to enjoy her never ending supply of fresh water. It’s even simpler than you thought, isn’t it? A Drinkwell fountain won’t only change your pet’s health, it will also give you more time for the belly rubs and kitty snuggles you envisioned when you first adopted your pet. If you have any questions, we’re always here to help! 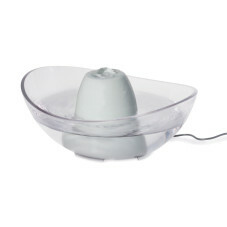 And, if you don’t have a fountain yet, you can learn more and shop on our website. Fountain owners, what is your schedule for maintenance? 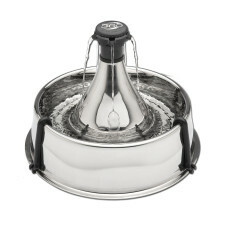 How has the fountain improved your and your pet’s life?